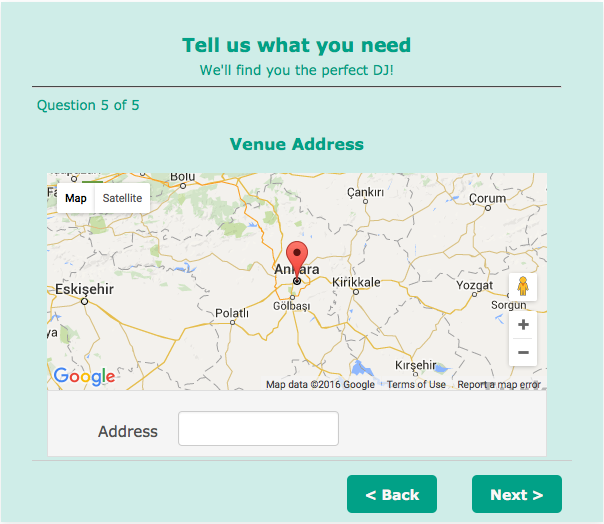 I'd appreciate help with the css I would need to use to hide latitude, longitude, province and country. 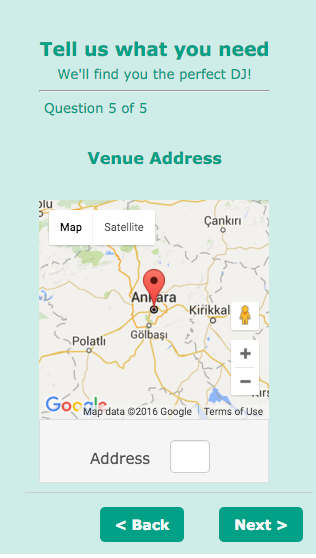 I only want address to show under the map. The map doesn't show on a mobile device, is there a way around this? 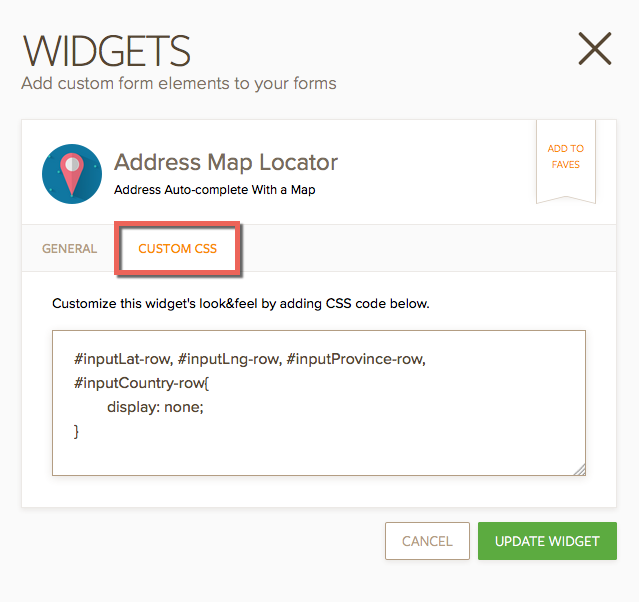 You need to apply following CSS codes to the widget's "Custom CSS" tab. Than ks for your help, The map doesn't show on a mobile device, is there a way around this? Alright, I see the problem now, I pushed the "Address" field above in order to monitor it on top; but it pushed the map above, so we need to remove the following CSS code. Then, everything will back to normal. If you need any other assistance, please do let us know. To make it fit to the mobile devices' screens, you need to apply the following CSS rule. I noticed that before you asked and tried to find a solution for this. Now, this issue will be gone with the following code. However, you need to inject this code to the form's custom CSS section, not on the widget's tab. Is there a way to make the address label smaller on a phone? It's difficult to see the field where the address is entered.